We all know the drill: you’ve spent more hours in the library than you’d care to admit, hopped up on coffee and anxiety surrounding a final paper for your class. You’ve already submitted an initial draft, which has been returned covered in indecipherable scribbles and red marks necessitating a major editorial overhaul. Whereas revision can mean a set of changes that correct or improve something, editing usually means making changes in preparation for final publication. Editing goes beyond correcting comma splices or parallel structure, and involves looking at your manuscript as a whole to appraise the larger rhetorical, structural integrity of your piece to ascertain whether there are ways to tweak your argument, logical development and expressive approach that would ultimately benefit the essay and its reception. Sometimes we are too close to a paper to be able to approach our work with the sort of dispassionate, editorial distance needed. That’s why I always advise students to start working on their essays early, to give themselves time in between drafts to allow their ideas to percolate and gain a fresh set of eyes when they decide to re-read the piece. Armed with the editorial advice of your professor, TA or reader, here are some additional editorial tips to consider when you want to hone an article beyond the first or second draft. Make a reverse outline. Before you even look at your paper again, take out a fresh sheet of paper. Without looking at your thesis statement or introductory paragraph, write down what the central argument of your paper is (or should be). Create a map of how you executed this argument, going point by point with your external citations and supporting research. This will help to give you perspective on the larger goals and structure of your paper, and help you to consider whether you were ultimately able to enact the argument you intended to make. Often times, students know what they want to say and how they want to argue their thesis, but forget to make their implicit assumptions explicit for the reader. Knowledge that has become second-nature to them through the act of researching and writing fails to be clearly articulated for the reader. This reverse outline can serve as an editorial keystone as you re-read through your essay, providing a point of reference for you to see whether these central ideas translated into the rhetoric of the article. Self-reflection. Before you begin the edits, it is also useful to reflect on the status of your paper and how you feel about the project itself. Do you think that the essay needs a larger structural overhaul, or do you need to focus on the smaller details, like transition sentences and citations? What do you think you’ve done well in the paper? What do you think that you need to improve upon? The admission of mistakes or holes in your argument will help to give you direction throughout the editorial process and reasserts your control and editorial oversight on a piece that you want to claim as your own. Read your piece out loud. This will help you to identify sentences that are clunky and could be made simpler or more accessible. If you stumble over reading something out loud, it will be equally difficult to understand as a reader. If you can, read your piece out loud to a friend or classmate. This will make the editorial process conversational and puts you into the position of the teacher. Your friend may have questions about what you mean, or require clarification on a point. If you can casually explain what you’re trying to argue in these moments of confusion, you can translate that conversation into the paper itself. This conversation may also help you to identify lacunae in your arguments or moments when you don’t thoroughly carry the reader through your thought process. Make sure that anyone who reads your piece will be able to follow each logical step you make to prove your thesis. Define your terms. The rule of thumb for any piece (unless otherwise specified by the professor or prospective publication) is to define your terms. Your reader may not be familiar with the disciplinary jargon you are using and you want to make sure that the very terms upon which you are building your argument are understood. Even within disciplines, practitioners may have different apprehensions of the same linguistic form. 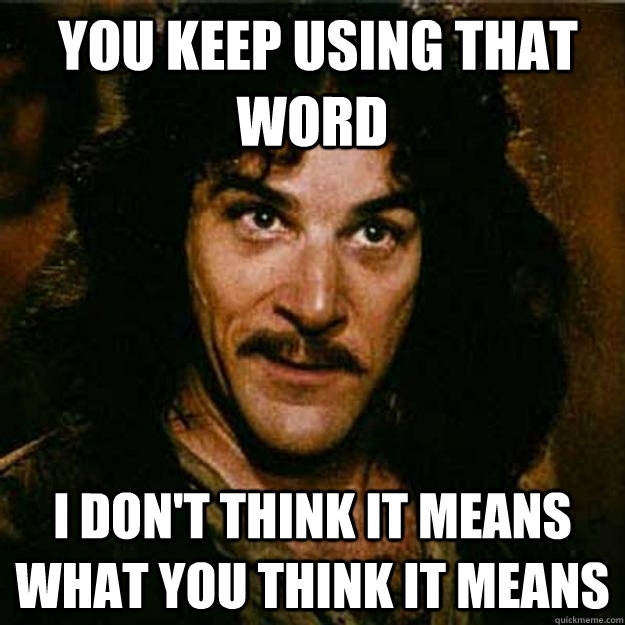 If you like someone else’s definition, you can quote or cite them. If you are adding your own spin to a term, you need to make that clear too. Does each paragraph support your topic sentence? As you read paragraph by paragraph, make sure that each paragraph has a clearly defined argument, position and relationship to your thesis. The best way to check whether you’ve done this is to look at the topic sentence of each paragraph. Does the paragraph fit the focus of the topic sentence? If not, you need to either rewrite your topic sentence so that it appropriately maps out the argument you make in the following paragraph or retool your paragraph so that it’s making the argument you were planning to make. As you consider the central argument of each paragraph, meditate on whether the support you use is convincing and whether your sources support your claims. Paragraphs as building blocks. As you read through your article, write your topic sentences on single slips of paper. Each paragraph should, ideally, be building and expanding upon the previous paragraph. As you arrange your topic sentences, try to get a sense of whether the central argument is progressing in a logical, (often) linear way. You are allowed to have moments of digression and add a creative spin to your piece, as long as you are still able to execute your argument effectively. Sometimes form follows function, and a creative path aids you in illustrating your argument through figurative, artistic conceits. But unless you are intentionally trying to entangle or confuse the reader, you don’t want your arguments doubling back on themselves or jumping ahead before you’ve laid the foundations for the reader enough to follow the rhetorical progression. You are allowed to make guiding statements, such as, “As I mentioned in my discussion on ________,” but if you are returning to an idea that was mentioned several paragraphs back, you might want to reconsider the order of your paragraphs. In this case, you can use the topic sentence slips to visualize the argumentative map of your paper. Move the slips around to see whether a different arrangement would make better sense for the development of your thesis. Double-check that you cited all your sources. Even if you didn’t directly cite someone, if you are using their ideas or drawing on preexisting theories, you need to acknowledge that you were influenced or are indebted to their arguments. Writers build on each other’s ideas, and if someone sparked an idea in you, you have to recognize that creative or intellectual jump through a citation. Have you considered all the angles? Not every article or essay needs to have a concession, but you should decide whether you have considered all the angles of the argument you’ve made. Writers collect data, analyze articles and critique media to arrive at a particular way of interpreting or reading a text, scenario or argument. Your strength as a writer comes from your ability to think critically, utilize outside sources, synthesize information and craft a novel perspective. Your research, however, may have been limited due to access to certain kinds of sources or databases. You can note that you wanted to incorporate certain outside primary or secondary sources, but were unable to access them. Perhaps you are employing a particular theoretical framework to make your argument—make that perspective or framing principle explicit in your paper. You can also have a sentence or two when you can concede that other arguments about your chosen topic have and can be made. This concession both acknowledges the depth of your research and provides you with another opportunity to reiterate your argument, subsequently reifying why you believe your argument to be the most voracious, convincing or forthcoming. You are allowed to acknowledge that you dispensed with certain areas of inquiry to pursue others and applied a limited purview of inspection—this shows your reader that you are an attentive, self-aware writer that is also considering the larger scope of the conversation. Recommendations. The concession or framing section of your article can also serve as a segue into recommendations or suggestions for the future. Depending on the department of your assigned project, your professor or reader may want to know what your argument has contributed and what it means moving forward within the discipline. You can make suggestions for further areas of inquiry. You can talk about how this changes arguments, theoretical paradigms or assessments made in the past and the consequences your theories can have on research or field work in the future. This is a moment when you can also think about scope—either on a macro or a mico level, either theoretically or in applied terms. For anthropology students: methods and self-reflexivity. 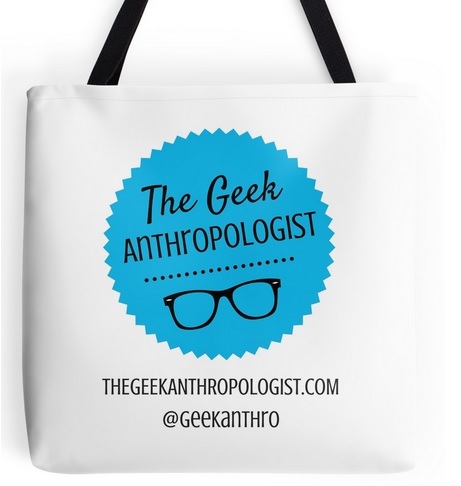 If your paper is based off of fieldwork, you need to follow one of the foundational methodologies of ethnographic research and contextualize yourself, as the anthropologist is the central praxis of research in the field. Self-reflexivity and positionality is key. Where did you study? How long were you in the field? When or what did you study? How did you select your research cite, participants and informants? What were the complexities and contingencies of your ethnographic research? Were there complications that came up that changed your theoretical position or approaches to the locality? Was there a demographic you weren’t able to include, interview or observer? What were the limitations, strengths and weaknesses of your research? Anthropologists are very particular about contextualizing and framing their research as much as possible. Neglecting to do so will be one of your reader’s biggest complaints otherwise. Don’t be redundant. This can be difficult, especially if you want to make sure that the reader is following along with your argument. But if there is a way for you to repeat, while simultaneously complicating and deepening your ideas along the way, you will hold the reader’s attention without boring them with the same ideas in the same words. Diction. Sometimes, as new students to the academe, we want to use rhetorical, intellectual flourishes before we’ve mastered the language. Don’t feel like you need to impress your reader with overly complicated diction, especially if it’s to cover up intellectual self-consciousness. Your professor will be far more impressed if you are able to explain difficult ideas in a simple, accessible way. There is a difference between something being simple and simplicity. Your ideas should be nuanced and well thought out, but they won’t have the rhetorical or intellectual impact you’re hoping for if the language is overly vague, abstract or opaque. Make a battle plan. After you’ve read through your draft with an eye toward revisions and edits that could be made, think about your editorial strategy. How much time do you have to devote to editing your piece? What edits should you focus on first, which will perhaps help clarify or eliminate other changes that need to be made? What are the resources available to you to help with this editorial process? Be realistic about your abilities in relation to time constraints and due dates. I would say that you should check your word count, but it would be hypocritical of me to do so. As you can tell from my posts, I tend to be a little long-winded, and I rarely fell within the designated word count my professors assigned. THAT DOESN’T MEAN THAT YOU SHOULD FOLLOW IN MY FOOTSTEPS THOUGH! Be concise, be thorough and be convincing. If you know that your professor or reader is a stickler for length, find ways to cut out superfluous phrases and redundancies wherever you can. Sometimes this means eliminating stylistic, creative flourishes that make the paper more enjoyable to read, but will ultimately be worth it if your professor starts to deduct points for every extra sentence you’ve added in. Make sure that you have addressed the questions and prompts your professor has laid out for you. Are you delivering the type of paper your professor asked for? Have you attended to all the elements of the assignment? Your professor likely assigned the paper or project to assess both your writing and analytical skills, so you want to ensure that your rhetoric, prose and grammar support, rather than distract from, your argument and insight. Wow. Thank you. I’m in that very leaky boat right now, a 25 page capstone on personal identity. I believe I can use some of these tips to make it seaworthy!